The Horror Movie BBQ: The Perfect 4th Of July Movie Barbecue! It's that time again! 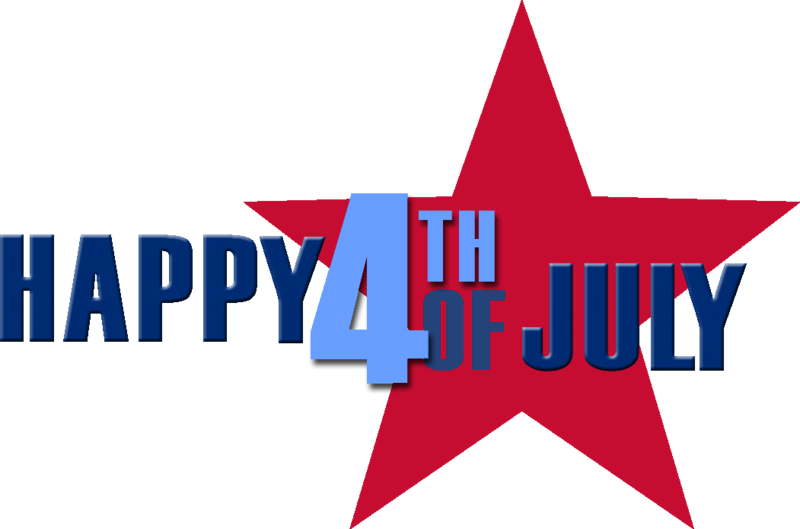 4th of July is here! America's birthday! While celebrating the birth of our country is a rather monumental day, it's usually spent by almost everyone grilling up burgers and hot dogs while drinking, telling the same stale jokes we've heard a billion times and our Uncle Jack breaking wind and giving us noogies. I've never been a huge fan of the 4th of July cookouts, though. I don't know why. I enjoy the fireworks and the pageantry that goes along with it. I like a good cookout, especially with all the burgers and mac salad, but something about this holiday just never hooked me. Maybe it's the heat. I'm a human faucet and sweat when it's 70 degrees, so add July heat and steam from the grill, and I'm screwed. I end up looking more like the T-1000 in liquid form at the end of the day. And that's not helping anyone. .
That said, I usually spend 4th of July isolated. I tend to get more enjoyment in grilling on my George Foreman Grill, turning off my phone, watching movies then proceeding to fall asleep on the couch while my bunnies try to steal whatever food is left on my plate. Those bunnies can be rather cunning, especially when half a hot dog is left on my plate and the fan is just wildly blowing the smell around the apartment. But, nothing says "day off" like a great movie marathon. I always look forward to my days off for that very reason. I can't describe the feeling of having the ac and fans hit me with that beautiful cool air, while I wrap myself up in covers and enjoy some ice cream. Now, at the risk of sounding rather pompous and ridiculous, my movie marathons are quite legendary. I usually have some good stuff planned and can usually enjoy myself no matter what I watch, especially considering I'm not at work. Anything beats being at work. Especially when ice cream is incorporated. And if there's two things I know it's movies and ice cream. ...and collecting tacky action figures. But that would be three things. My gosh, I'm already trailing off and I've yet to get to my true point. My point of this article is quite simple. Building the perfect horror movie marathon on this hot day. I didn't want to call it a Horror Movie Barbecue, but since I can't find a better title(and the name of this blog. Best take advantage of the situation while I can. I can't imagine using that pun in December when I review the best Christmas/Wrestling connections), let's take a look of what's on the picnic table today! Normally, my go to marathon fodder consists of Batman or Elm Street movies, but something very American about the Toxic Avenger. I don't know how to describe it any better than that. Toxie and the goofballs residing in Tromaville know how to throw a party and on today's very important holiday, a good party is essential. The Complete Toxic Avenger box set contains all four movies fromt he Toxic Avenger series and the complete Toxic Crusaders cartoons series. As far as I can tell, there's nothing more American than that..except that second one where he went to Japan. That wasn't American. 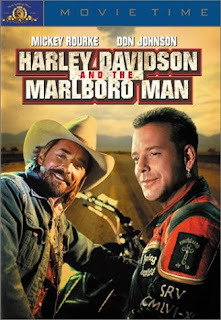 The cheese: Harley Davidson and the Marlboro Man. Gotta have some cheese on that burger you're having. And I present what may be the cheesiest movie of all time and one of my all time favorite movies of the 90s. An absolute car wreck that must be seen. Mickey Rourke and Don Johnson play modern day Butch Cassidy and the Sundance Kid in the most copyright challenging way possible. This movie is downright ridiculously bad, that it's amazing. The acting is downright awful, you can tell that all actors involved have zero interest in whatever is going on. And you can't blame them. A cowboy and a biker robbing a bank to save their favorite bar is not the most challenging role for an actor to take. If you haven't seen this, I can't describe the void missing in your life. It's a party in your TV waiting to happen that you must RSVP to. Besides, nothing is more American than Big John Studd as a big tough biker named "Big Jack Daniels"...the scene watching him ride a motorcycle is worth the price of the dvd alone. The mac-salad(side dish): Tales From the Crypt. People dying in comical and embarrassing ways is very American. Think I'm wrong? Go watch Spike TV for those "Idiots Dying in Stupid Ways" shows they air 23 hours a day. My all time favorite tv show is the perfect way to transition between movies. I know what you're thinking though. 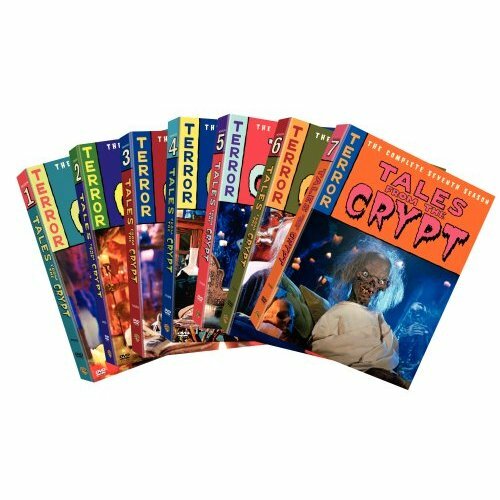 Sure, you can have a Tales From the Crypt marathon all by itself. I get that. In fact, I've done it and enjoyed. But after the gut punch of Harley Davidson and the Marlboro Man, you're gonna need something to speed you back up. I highly suggest season 2 to 6. The entire series was fantastic, but those may be my favorite seasons of all. 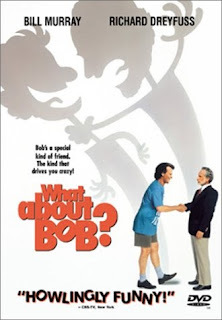 Fruit salad(second side dish): What About Bob? This hasn't been the most horror centric barbecue, but it's my blog and what I say, goes. And as far as a good comedy tag team, you can't get much more American than the 1991 classic. Look, you're going to need a straight up comedy to accompany all this blood splurting and bullets going off. And one of the greatest comedies of all time was the Bill Murray and Richard Dreyfuss classic. From the first scene to the end, this movie rolls out laughs left and right. And it even takes place in the summer. If you can't laugh while Bill Murray screams "I'M SAILING!!! ", then you need to be deported. Like now. In fact, I'm calling you an anti-American right now. You've made it this far and now it's time for dessert. And because you've made it this far, you deserve to be reward. 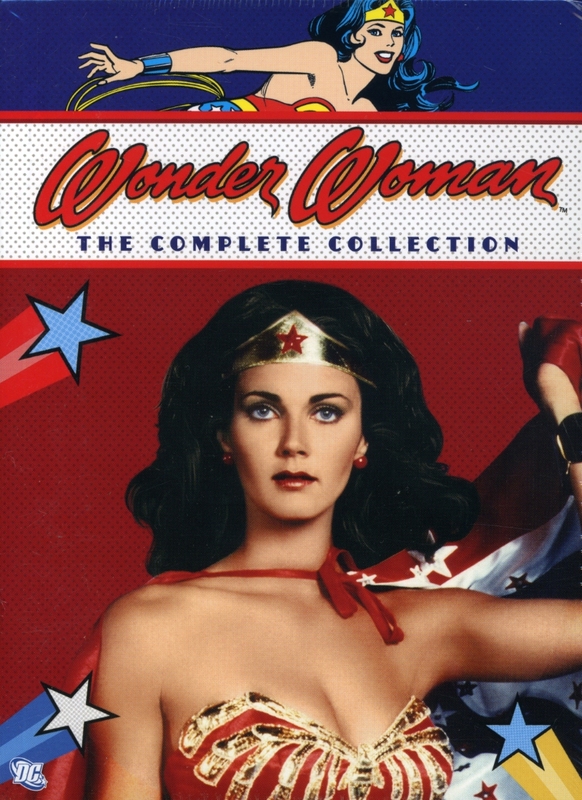 Quite frankly there is nothing more American and delicious at the same time than Lynda Carter spinning around and slowly running in that outfit. I really should stop here. Because quite frankly anything else I say will just sound extra-perverted, even if it's unintended. But, come on. She was the best Wonder Woman and we all fell in love with her. While not horror related(unless you count John Saxon appearing in a couple of episodes), I see no better way to end the 2013 4th of July Horror Movie Barbecue. Well, there you have it. If you can't get enjoyment out of these choices, you need to live in Canada. Just kidding. I love Canada. They gave us the Hart Family. And Jessica Pare from Mad Men. You guys are ok with me. Did you know that you can create short urls with Shortest and get money for every click on your shortened urls. Are you paying more than $5 / pack of cigs? I'm buying high quality cigarettes over at Duty Free Depot and this saves me over 50%.